CHARDON, OH — Ms. Helen Victoria Sever called police to her home this morning because her son, Ryan Sever, was fighting with his girlfriend. During the course of the 911 call, the operator made a chilling statement: “[Ryan’s] definitely not coming back to the house tonight, that’s for sure.” But she should have said he won’t be coming back to the house ever. The latest summary execution of an American took place in the small town of Chardon, Ohio – about 35 miles east of Cleveland. This town may sound familiar to many, as it was the scene of the shooting at the local high school which three people were killed about a month ago. According to the 911 tape, Ms. Sever called police at 3:15 a.m. to report a fight between her 28-year-old son Ryan Sever and his girlfriend. He had apparently had a knife and has “punching” the woman. As soon as the 911 tape begins, you can hear Mr. Sever cursing, then leaving the house. The mother indicated that Mr. Sever, who had been drinking, put the knife down before leaving the house and that the girlfriend was not hurt. 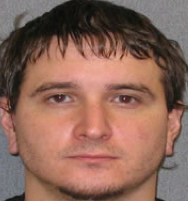 The 911 operator relayed to Chardon police that he “no longer has” a knife with him, but he left the home on foot. During the course of the call, the mother indicated Mr. Sever had a warrant and asked if her son would be going to jail that night because of it. The operator said she doesn’t know if he’ll go to jail for the warrant, but “definitely” won’t be back tonight. Listen to the 911 tape here. The fact remains that the mother and the 911 operator said Mr. Sever no longer had a knife, but he somehow “produced” one when police confronted him. Nobody is defending the actions of Mr. Sever that morning. He deserved to be arrested for putting his hands on a woman and would have lost all respect from real men in the aftermath anyway. Domestic violence is not a crime which is punishable by death and it is certainly not in the power of cops (contrary to their beliefs) to summarily execute someone simply to earn a paid vacation. It sounded as if Ms. Sever was understandably upset with her son and wanted him locked up for a while, but we would assume she did not want him shot dead. Nothing good can ever happen from calling police to your home to intervene in family or any other matters, and this is yet another example. Americans need to learn to look out for one another and get government out of their personal business…a government with no genuine concern for their health, well-being or lives in general. Our thoughts are with the Sever family. What we hear on the recording, and what is true, is that Ms Sever *thought* he no longer had the knife. He did. It was not in the home, it was on him, in his hand, when he was shot. Ms Sever did *exactly* the right thing, and how dare you question a mother making the painful and difficult decision to call the police on her increasingly violent son. Also, telling your readers that nothing good comes from calling the police during an act of domestic violence is extremely irresponsible. I hope that your readers are smarter than you. RIP my friend. We’ll see you soon.